Norms galore for Indians in Abu Dhabi Masters! 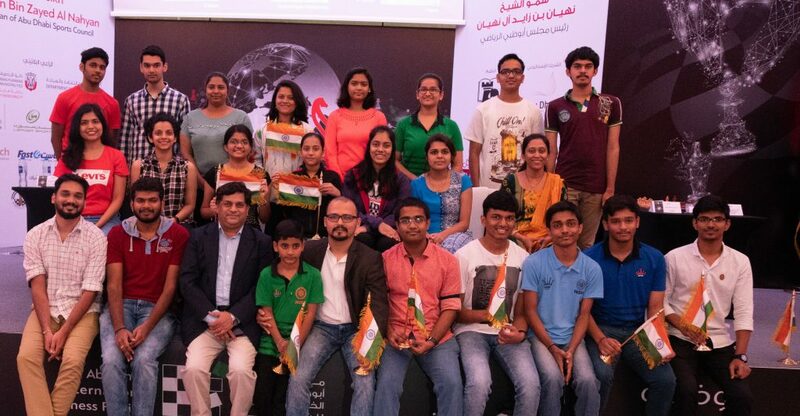 The Indian chess players have given so many reasons to celebrate this 72nd Independence day today that as many as 7 players got norms in this Abu Dhabi Open Chess Tournament that concluded on 15th August 2018. 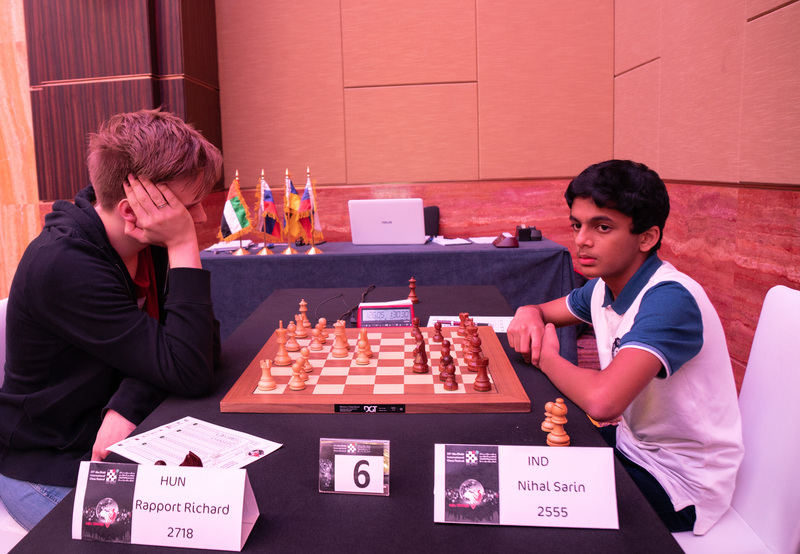 Prodigy Nihal Sarin of India achieved his third and final GM norm in the Abu Dhabi Chess tournament despite losing his last round. He had completed all the formalities of rating long back. His opponent Richard Rapport of Hungary to turn up for this game was the only criteria to be fulfilled his last norm. He has achieved this title at the age of 14 years having won under- 10 world championship and silver in under -12 world championship. 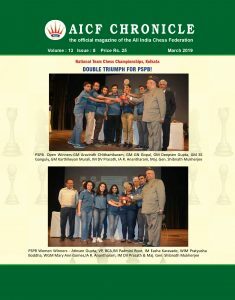 We have another brand new Grand Master from Telangana, India. 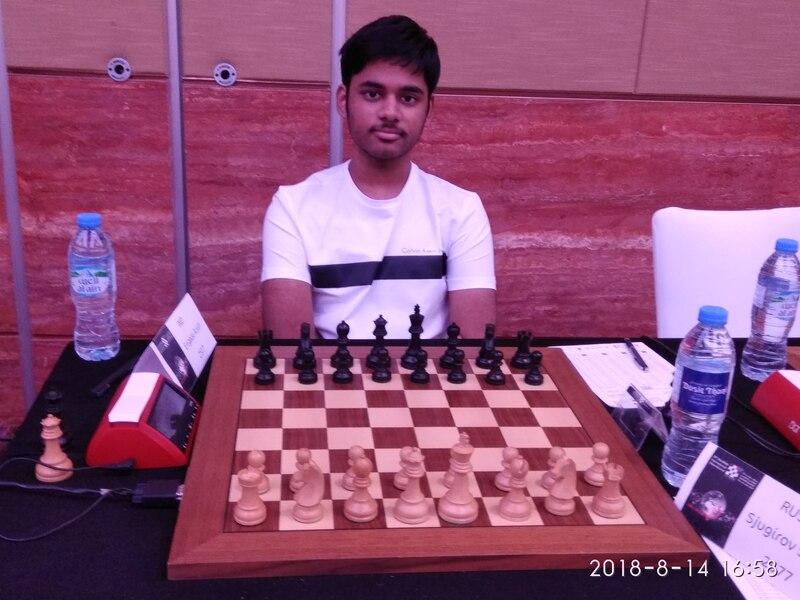 Arjun Erigaisi also completed this third norm beating Krishna Teja from the same state. His rating performance is whopping 2620 with gain of another 13 points. Creditably he has also achieved this title at the age of 15 years. 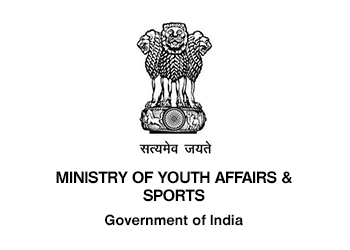 Thanks to Govt of India for sponsoring this exposure trip, youngster have taken all the advantage of this strong tournament and we also have two another GM norm holder from official team. 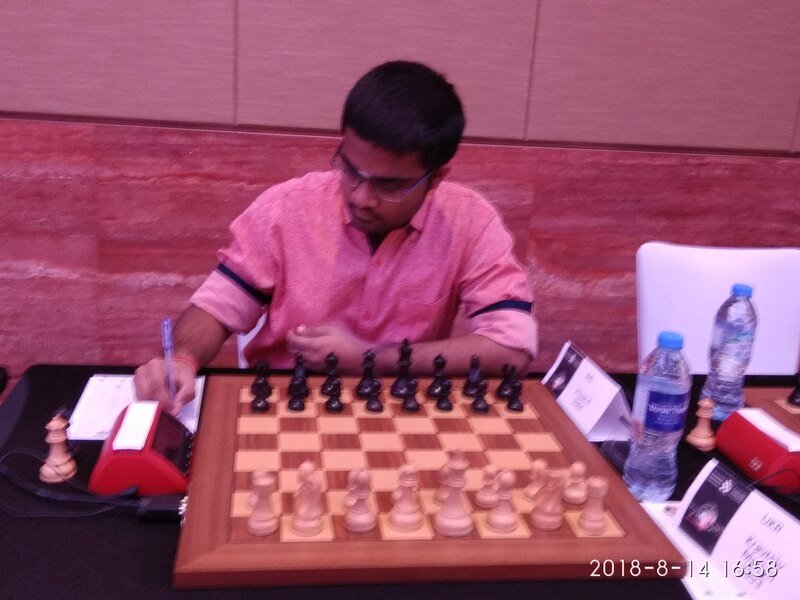 Harsha Bharatkoti got his last GM norm and will need more 25 points to complete the formalities for the title. He was up to the task of winning last round against GM Pantsuaia Levan of Armenia. Iniyan P also achieved GM norm though it is his 4th norm. He is just short of some rating points to achieve GM title. Had he won against Nigel Short in the last round probably he might have achieved title in this tournament itself but it is just a matter of some time and he will surely achieve GM title soon. India also got three International Master norms in this tournament. Despite losing in the last round against GM Yuffa Daniil, Al Muthaiah accomplished his last IM norm as well as IM title. 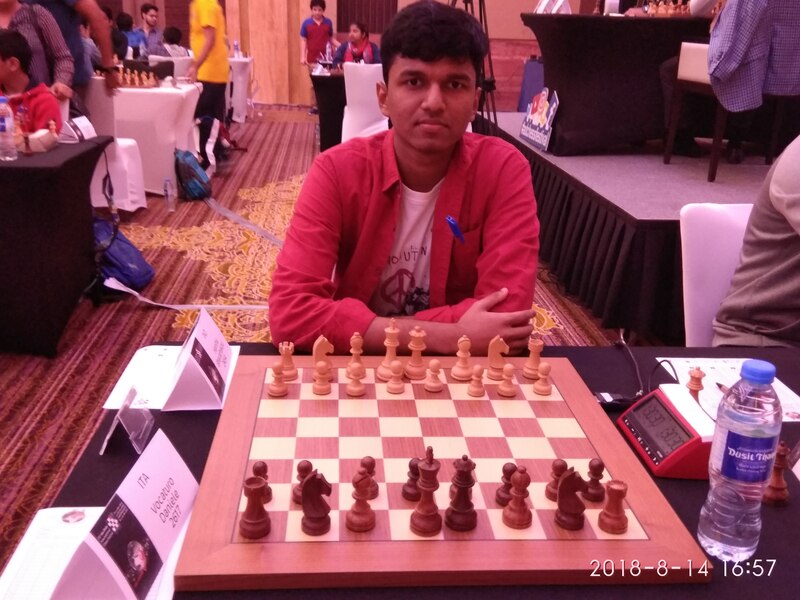 Rathanvel who stunned first seed Le Quang Liem in the first round got his IM norm by drawing against Saduakassova in the last round. Sankalp Gupta also got IM norm though he went astray in the last round. He lost to 19th seeded GM Vocaturo Daniele (2617). Three Indian players that tied to 5th position are Murali Karthikeyan, Harsha Bharatkoti and Debasis Das. Soumya Swaminathan got second best lady prize. In the open section, Anish Gandhi accomplished Bronze medal by scoring 3/3 in last rounds. Bhagyashree Patil won the best ladies prize in Open section. Dubov won a long gruelling battle against Cheparinov in the last round to win this coveted title. Dubov got richer by 13,000 $ with this first prize. Korobov and Salem Saleh are the other two players who tied to first place with 7.5 points out of 9 games.